How Can I Improve My Customer Service and CRO For My eCommerce Store? Home » Web Professional Program » How Can I Improve My Customer Service and CRO For My eCommerce Store? With more shoppers moving online, eCommerce customer experience is becoming a more complex and critical part of acquiring and retaining customers. According to HubSpot, 80% of consumers say they would stop doing business with a company because of poor customer experience. And by 2020, a Walker study estimates that customer experience will dethrone product and price as the primary way to differentiate a brand. Customer experience is the soon-to-be-crowned king of eCommerce, and you’ll need a good design and marketing strategy to compete. 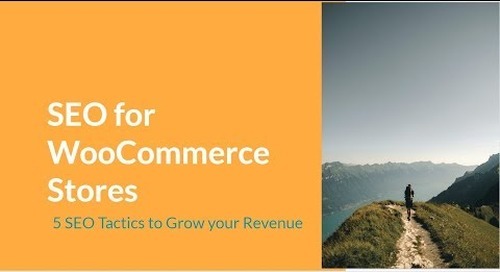 Here are some strategies for building an eCommerce customer experience to support your conversion rate optimization strategy. Creating an eCommerce customer experience involves fulfilling the practical and emotional needs of your customers. Practical needs include intuitive navigation or an easy-to-use checkout process. When you meet a practical need, you make the customer journey easier. A customer’s emotional needs are satisfied through user experiences like enticing product images that inspire them to buy or an “About Us” page that builds positive brand affiliation. By satisfying your customer’s practical and emotional needs, you’re able to nudge them into converting more. Without a simple process, customers get frustrated. Without an emotional connection, they lose interest. Effective customer experience satisfies both needs with a comprehensive design and marketing strategy that increases conversions. 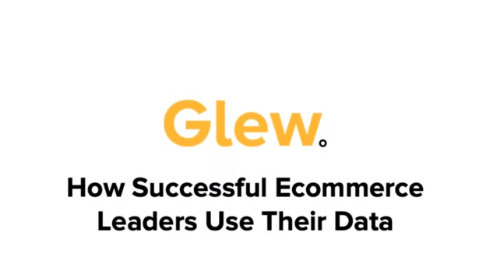 Get industry-leading tips on optimizing your store. Subscribe to the Liquid Web eCommerce newsletter and get content like this sent straight to your inbox. Customers need to know what you’re selling and how to find your products. Your store’s layout and navigation is the foundation of this experience. Your customers have a better experience when your main navigation is simple and displays all of your product categories. Customers can get confused when they hover over a “Products” button only to be overwhelmed by a drop-down menu of dozens of product names and categories. Keep it simple and streamlined. Don’t hide all of you categories behind an “All Products” button. This makes it hard for the customer to see everything that you’re selling. They might think you only sell electronic gadgets when you also sell clothing. Your main navigation should display your product categories on your homepage. At least 18% of eCommerce sites don’t do this, according to Baymard Institute. Keep your navigation headings specific. Avoid general labels like “What we do” and “Products”. These descriptors are straightforward, but they don’t inspire clicks, and your customers aren’t searching for those terms anyway. Instead, use Google Keyword Planner to populate your navigation panel with relevant keywords to describe your various sections. Having search functionality on your eCommerce site is the quickest way to connect customers with the products and services they’re looking for. So, make your search box prominent on the page, especially for the mobile version of your site. The most common placement is at the top of the page for both mobile and desktop. Use contrasting colors for your search field and/or button so customers can find it. Design your search field with icons like the magnifying glass so customers immediately recognize its function. And put the search field on every page of your website. Autocomplete helps customers find what they are looking for faster. Use the search bar plugin to deploy this technology on your store. When a customer land on your product pages, you can increase their motivation to buy if you design your page and marketing strategies to include these elements. It can be frustrating for customers on the edge of converting to wait a day to purchase, only for the item to sell out or for a sale to end. Keep shoppers up to date on current availability and sale timelines. By making it known when an item is popular and selling out, potential customers aren’t caught off guard by inventory shortages. Fill your product pages with proof from others that you’re a reputable vendor. Customer trust is a major motivator and is affected by many different factors—from online reviews to what payment gateway you use. The happy customer is the one whose expectations match the product they receive. When done correctly, product images go a long way in setting customer expectations before payment and shipment happen. That cuts down on returns and improves customer experience. Plus, attractive images of your products are enjoyable to look at. Get a variety of shots. Close-ups emphasize fine details, while different angles create an overall understanding of a product’s shape and size. To get the best of both, use medium shots of products and hover zoom tools for closer looks. Really amp up your customer experience by A/B split testing your images to discover which images drive the most conversions. There’s no better place to look for barriers to conversion than the checkout process. Complicated checkouts can lose you almost a third of your conversions. Big or small, any hiccup in payment and shipping can cause a customer with the sincere intention of leaving with your products, to instead, leave a bad review. Here are some common checkout problems to avoid. According to a Baymard Institute survey, 37% of shoppers say they will abandon their carts if the site requires creating an account. The sale you’re missing is more important than the gathering of customer contact information. Customers who don’t want to buy from you because of the extra step to purchase aren’t going to be enthusiastic about your emails either. Make guest checkout an option. It will reduce your cart abandonment rates and improve your customer experience. And use a cart abandonment plugin like Jilt to recover any lost sales you have. Jilt comes standard with Managed WooCommerce Hosting. Customers often get sticker shock at the checkout process because of extra fees, taxes, and shipping rates. Up to 60% say they will leave an online store because of extra costs like shipping. Cut down on cart abandonment by throwing in shipping for free when you can. Roll the shipping costs into the product’s price to keep things simple and streamlined. The improved customer experience will offset any loss the higher price presents. Customers love free shipping, so let them know you’re offering it every chance you get. Put it on your homepage, emails, banner ads, and social media ads. And use the advantage of free shipping to upsell and cross-sell. Offer free shipping for multiple items or as a “special offer” when sales slow. Customers know they can maximize the free shipping advantage with more purchases. So, they’re incentivized already. The best customer experience is one that’s personalized. Forty-eight percent of consumers spend more when their experience is personalized. Keep it all about your customers with these features. 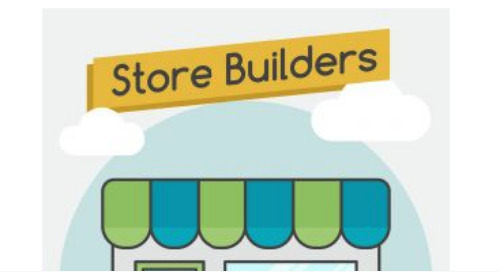 Sizing is a big reason why many customers opt for brick-and-mortar retail rather than online. Overcome this fear with a helpful sizing chart. Give your customers enough sizing information in your charts. Provide numerical sizes (6, 8, 10) along with their standard descriptors (small, medium, large). Overall, try and include sizing information that doesn’t require measurements, since most customers won’t know their measurements, nor have a measuring tape handy. To increase your sizing accuracy, encourage your customers to upload images of themselves wearing your clothing or using your products. Consumers can use them as a helpful fitting guide. Plus, the images are a highly effective form of social proof. To add another level of personalization, include a color swatch selector next to your sizing chart on your product page. The color swatch lets customers easily cycle through the different color and fabric options you provide. Product recommendations increase conversions. One Barilliance study found that 31% of eCommerce site revenues resulted from product recommendations. Recommendations also improve your customer experience. Customers who engage with recommendation widgets are 5.5x more likely to complete a purchase than those who don’t. Plugins like Recommendation Engines for WooCommerce give you the flexibility to offer recommendation within all three of these category types. In the Barilliance study, the best performing recommendation widgets were those making suggestions based on what other customers were buying. To make your recommendations more effective, place them above the fold of your product pages so customers don’t need to scroll to find them. Website performance affects both the practical and emotional aspects of the customer experience. When customers have to wait for product images to load or transactions that take too long, their frustrations grow exponentially—and their experience suffers. Performance studies estimate that for every 1 second it takes for your eCommerce site to load, your conversion rate drops 7%. Use a site speed tester like GTMetrix to get a performance benchmark. Then use the GTMetrix report to identify ways to improve your page load speed times. Also, consider whether your current website hosting is optimized for eCommerce. For example, some WordPress hosts are built for blogs, not image-heavy, high-traffic online stores. If the customer experience is soon to become the key differentiator of a brand, what are the big picture implications for online store owners? Online sales lack the personal connection brick-and-mortar stores enjoy. There’s no happy face to greet them at the door, no fast and friendly sales associates or dressing rooms for confirming a good fit. These are limitations online store owners will need to overcome by anticipating objections before they happen. That means maximizing the personalization benefits online shopping does offer—like predictive algorithms for personal recommendations and targeted marketing campaigns. Despite the anonymity and privacy online shopping affords, shoppers will always crave the need to feel special and connected to something. That something is your brand, which is nothing more than the collection of the dozens of small touch points that make up your customer experience. Make each one count. Ready to Try a Hosting Solution Built for eCommerce? Speed plays an integral role in the overall experience a customer has at your store. Our Managed WooCommerce Hosting platform reduces query loads by 95% while automatically handling image compression, which enables your store to run quickly. It also includes premium plugins from IconicWP that help keep your store lightweight while providing additional functionality such as color swatches for your product pages. The post How Can I Improve My Customer Service and CRO For My eCommerce Store? appeared first on Liquid Web. How Do I Start a Customer Loyalty Rewards Program? A portfolio is the foundation of a creative business. It showcases your work, demonstrates your style, and shows prospective clients what you’re capable of. Find out how to create one on WordPress. 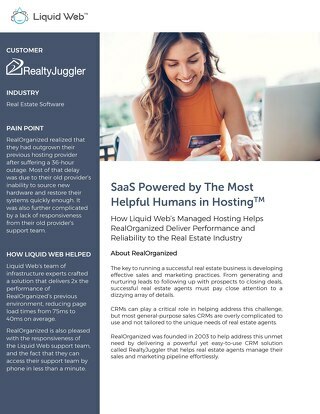 Managed WordPress from Liquid Web is now available for enterprise-level digital agencies, including plans for those with 50, 100, 200, and 300 clients. Find out where to get high-quality, professional photography while boosting your conversions. We grabbed a list of our 29 favorite places to get quality stock photography for every kind of website. "How can I take my eCommerce store to the next level?" We answer that question every episode with a little help from industry experts and successful store owners. CapEx and OpEx are shorthand for capital expenditure (or capital expense) and operational expenditure (or operating expense), respectively. Find out how to consider each as it relates to IT. Liquid Web’s Vice President of Engineering on her greatest inspirations, getting started in tech, and her hopes for the future of women in technology. IT Agility… Buzzword or Meaningful Process? To be IT agile means having the systems, personnel, and tools in place to change your infrastructure, development process, and IT offerings quick, as the market changes demand. Find out how it's done. What Are The Most Impactful Tips For Educating My Employees About Cybersecurity? Find out how to educate your employees on the dangers of cyber attacks, what to do when there's warning signs of a breach, policies, and procedures you need in place. Be prepared for the next breach.